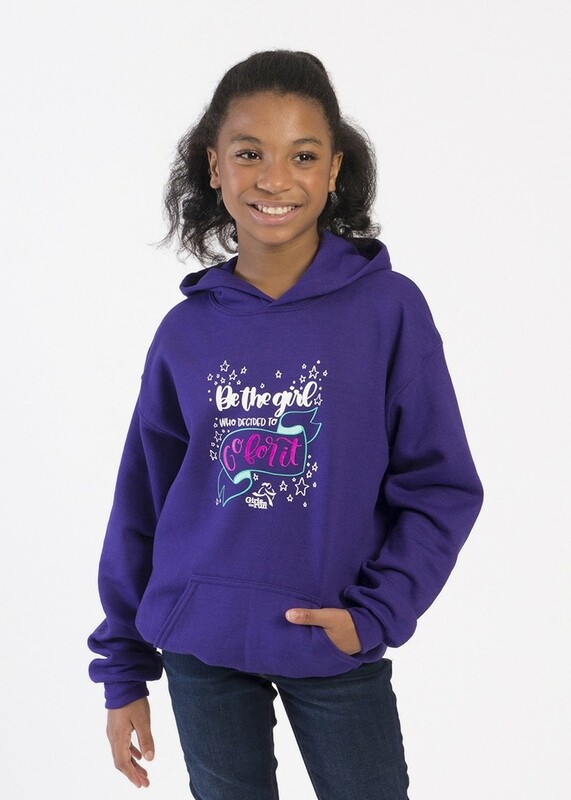 Be the girl who decided to go for it in this fun sweatshirt by Gildan. The power and potential of a girl is unconditional and limitless! Let that be known in stylish comfort! Features include: double needle cuffs, kangaroo pocket and a double lined hood. The model is 4’ 7” and is wearing a size Large.